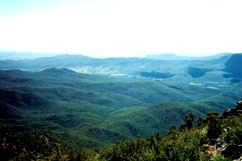 Be awed by towering forests, breathtaking rock formations and stunning scenery at Mount Kaputar National Park. Roughly one hours drive from Narrabri in northern NSW. Open every day of the year. 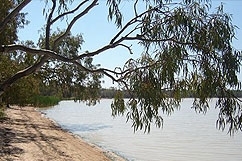 A circular lake, three kilometres in diameter, Yarrie Lake is perched on the edge of the vast Pilliga scrub, providing a haven for countless species of birds and animals. 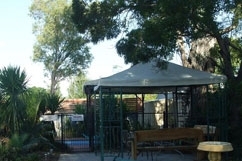 Various water activities available. 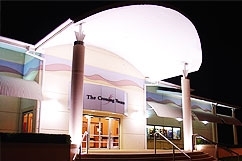 The Crossing Theatre is a perfect family activity. With a cinema as well as an impressive modern conference venue set on the banks of the picturesque Namoi River, ideal for hosting functions and weddings. The six white antennas that make up the Compact Array are an impressive sight. Bring a picnic and see kangaroos and galahs, emus, echidnas and (very occasionally) koalas pay a visit too. 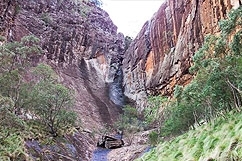 Waa Gorge walking track in Mount Kaputar National Park is a challenging walk through Grattai Wilderness Area and Waa Gorge, offering birdwatching opportunities and a great place to picnic. 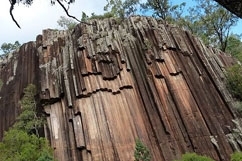 The magnificent Sawn Rocks are one of Australia’s best examples of a rock formation called ‘organ-piping’ because they look like a wall of giant organ pipes. They are a fascinating reminder of Mt Kaputar’s volcanic past.